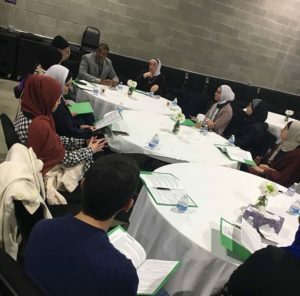 DEARBORN — Starting as an organization co-founded by sisters Mariam and Marwa Ayyash, the Arab American Health Initiative (AAHI) highlights healthcare needs, including reducing health disparities and fighting stigma within the Arab American community. The AAHI was first established in October 2016 and officially launched as a nonprofit in October 2017. The Ayyash sisters are medical students at the University of Michigan Medical School and both are interested in obstetrics and gynecology. They are very passionate about women’s health and mentorship and both seek to one day aid in humanitarian relief in underrepresented and neglected communities in the Middle East. Mariam is a fourth-year medical student, and Marwa is a third-year medical student. Moreover, she also said it’s important for rising healthcare providers to feel supported and have the community behind them to better improve overall community health. She shared her experience of being the first member of the family who wanted to pursue medicine; it was a totally new journey for her. Ayyash described the launch of the AAHI as an inspiration that came from a prior experience of research and collaboration. By the end of her first year of medical school, she grew interested in how diseases and conditions would impact the Arab American community. She emphasized her experience in doing research with the Breast and Cervical Cancer Control Program at ACCESS. The project on breast cancer further required undergraduate students to reach out to the community and analyze data on Arab American women’s knowledge and awareness of screening for the disease. She told The AANews she recruited many of the undergraduate students from U of M-Dearborn. “The impact of it made us want a larger scale, a bigger initiative,”Ayyash said, expressing her pride at the project’s outreach and impact. The project specifically wanted to raise awareness about breast cancer. “It is important to hear other’s stories and educate,” she added. The Arab American Health Initiative has a mission to reduce health disparities, highlight healthcare needs and fight stigma within the Arab American community with the long-term goal of improving health outcomes for Arab Americans. It is a youth-led organization focused on improving the health quality of life for Arab Americans and motivating the youth to chase their dreams through dedication and community outreach. AAHI recently kicked off its mentorship program for students who are interested in pursuing medicine or pharmacy. However, the group hopes to expand its mentorship program to people who are interested in dentistry, public health and any other healthcare profession. There are also shadowing and research opportunities available; a few research projects involving the AAHI include the following topics: Breast cancer, autism awareness, colon cancer and physician gender preference. A key goal of the AAHI is to build a larger network of support communities. A heavy aspect the organization deals with is to focus on stigmatized topics within the community. On October 20, the AAHI presented a seminar on the end of life, which included an open discussion to share stories and learn more about caring for a terminally ill loved one. Guest speakers included Abdulla Hafeez, M.D. from Beaumont Hospice and Najah Bazzy, R.N. Upcoming seminars will focus on domestic violence, vaccine debates, nutrition and health, among other topics. In addition to seminars and research, AAHI works to educate the community through various methods like blog posts, including “mythbuster” health tidbits, and workshops. 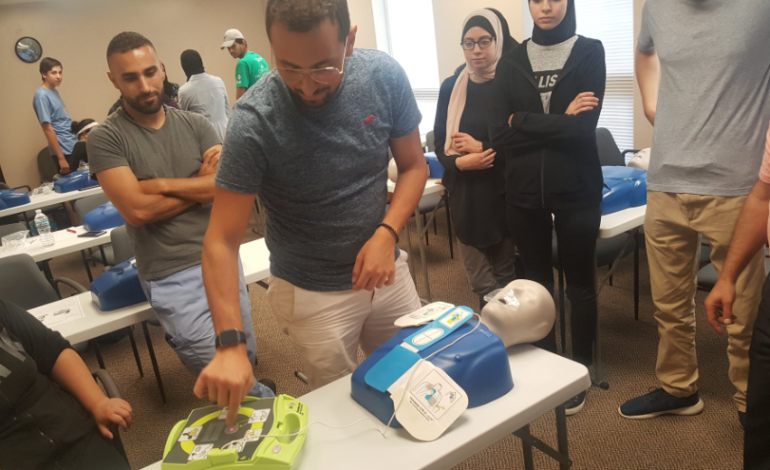 After hosting a seminar on emergency medical response (dealing with cardiac arrest, heart attacks, stroke, diabetic emergencies and drug overdose) earlier this year, AAHI decided to hold a CPR training event with practice and certification. Ayyash described this experience as a fun, educational and inspiring journey. She added that the work the organization does is important because the community would benefit from it. She told The AANews the organization’s various committees are passionate about the work they’re doing and about figuring out the best ways to serve the community. “Always pay it forward,” Ayyash said. 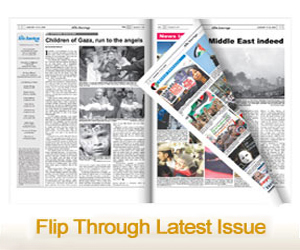 The AAHI also overcomes the language barrier by having posts in English and Arabic on its website and social media platforms.